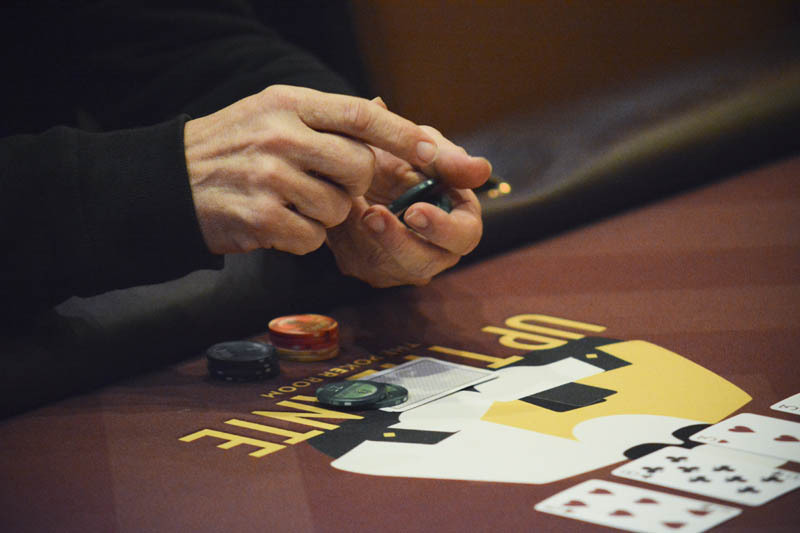 All in for his last 5BB, Matt Gouge is called by the Q/T of Wilson Tolon. 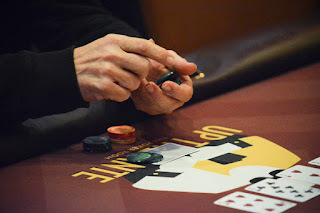 Gouge could e in trouble, not because he has a pair but because Tolon has knocked out the last three players from this final table. 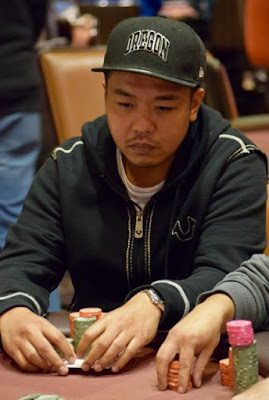 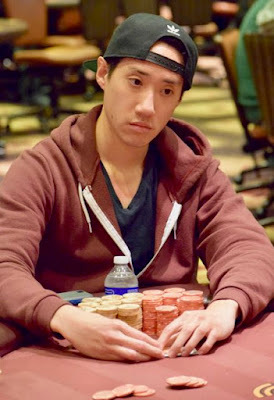 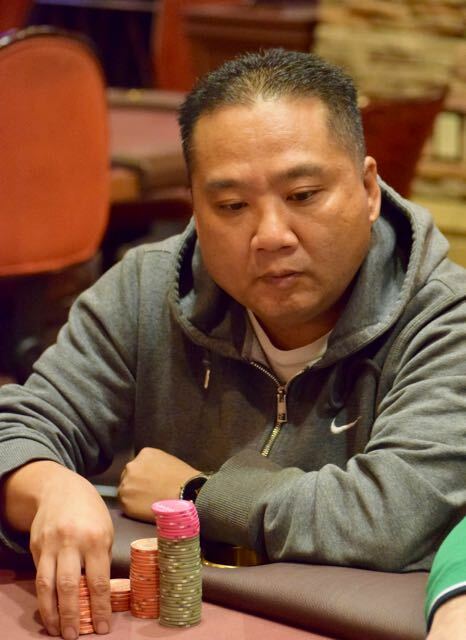 Kao Saevang moves in for his last 5BB with A/9 and runs in to the T/T of Wilson Tolon. The Tens hold and Saevang is out in 6th place, a $5,200 cash. Shawn Roberts moves in for his last 7BB with A/4 and runs in to the 9/9 of Wilson Tolon. 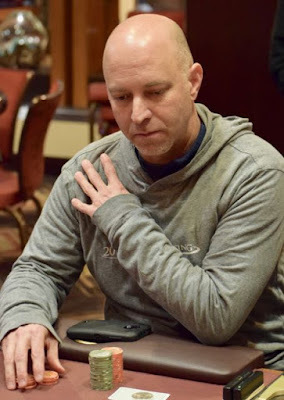 There's no ace on the flop or turn, no Barry Greenstein, and Roberts is out in 7th place, a $4,250 cash - 27x the buyin. 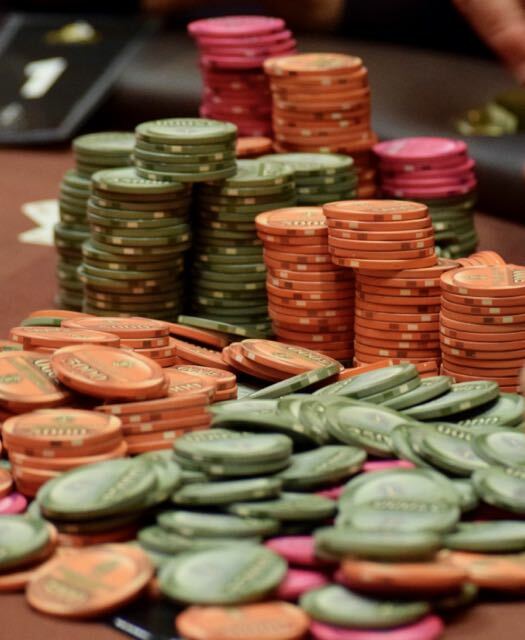 There was a brief talk about running ICM numbers but one player said no, so there's no talk of any ICM until another player is eliminated. 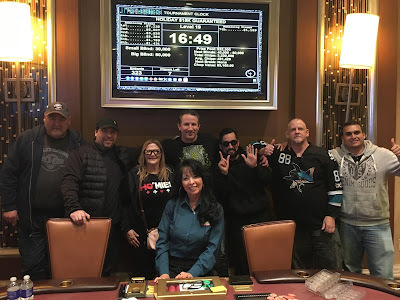 Here are the official chipcounts for the remaining 7 players. They took a look at the ICM numbers and decided to play on. 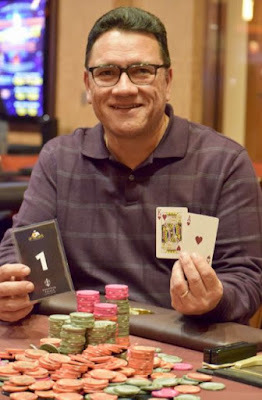 Roland Quinones bets out 350,000 on a J-8-7-T board, and former national BMX cycling champ Jerry Jones (above) moves all in for his last 480,000. 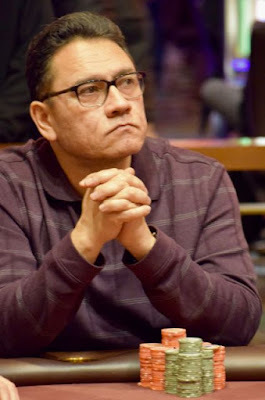 Quinones hesitates to make the call despite the fact it is for barely more than a single bet, with the BB 100,000 at this level. 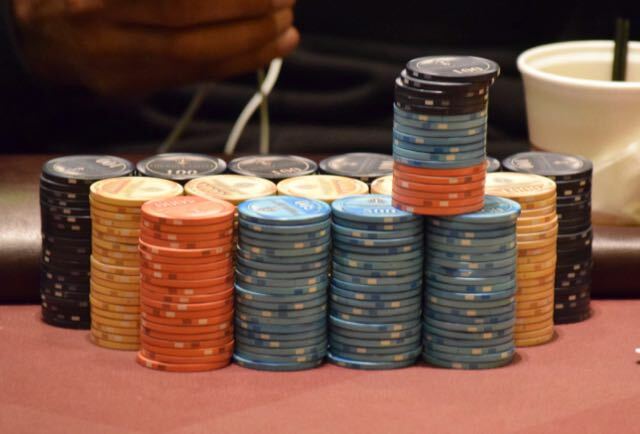 He does find a call and turns over K/Q for an open-ended straight draw and two overs. Jones shows Q/J for top pair, Queen kicker. 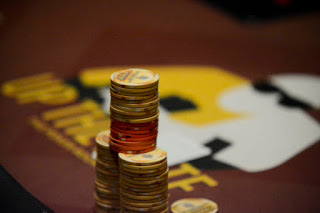 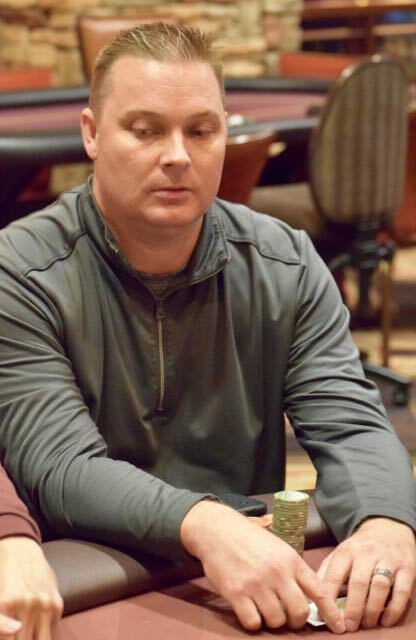 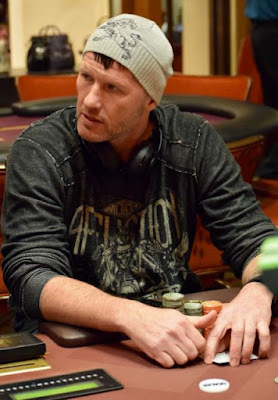 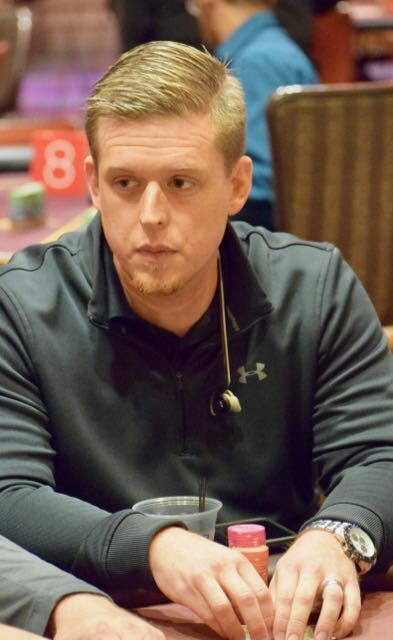 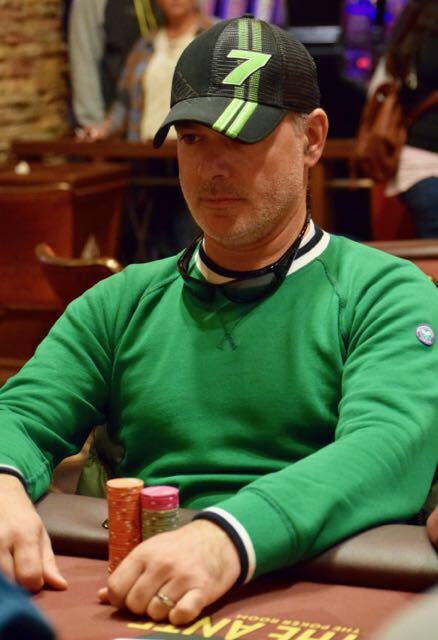 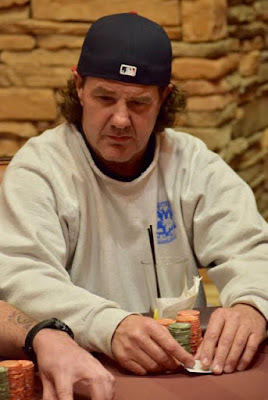 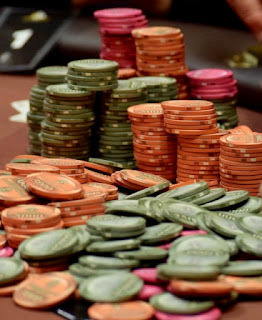 The river is a 9, giving Jones the Queen-high straight ... it gives Quinones, however, the King-high straight and Jones is out in 8th place, a $3,350 cash.